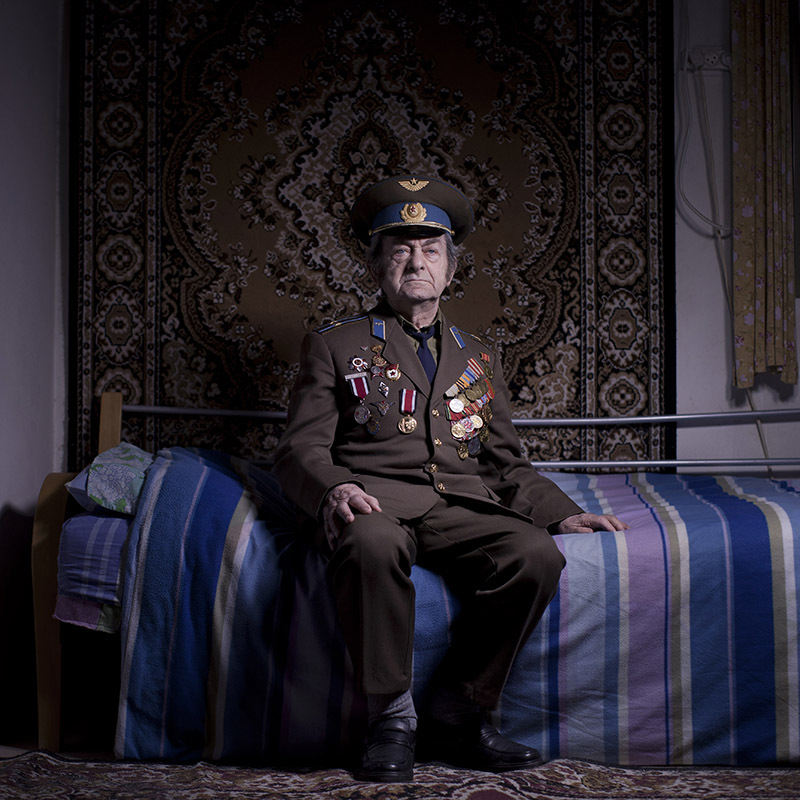 In this photo made on Friday, April 12, 2013, Soviet Jewish World War veteran Aharon Kavishaner poses for a portrait at his house in the southern Israeli city of Ashkelon. Kavishaner joined the Red Army in 1942, as an air force mechanic and served in the 4th Ukrainian Front, a Soviet army group. Kavishaner immigrated to Israel in 1991.